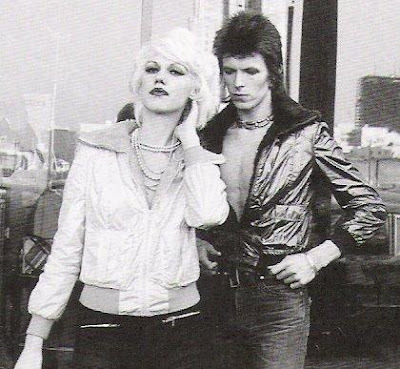 Cyrinda Foxe (Blog Part 1) was a Pisces born in 1952. 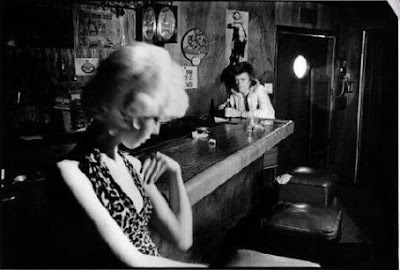 She ran away from home to New York City as a teenager, met good friend Leee Black Childers and became a darling of the New York rock club scene, holding court upstairs at Max's Kansas City. 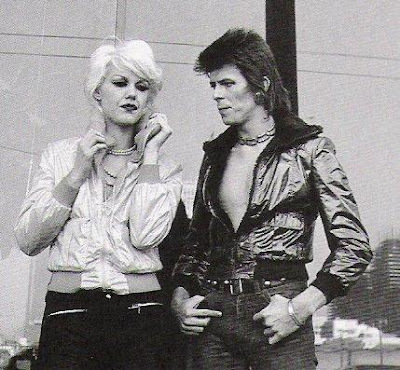 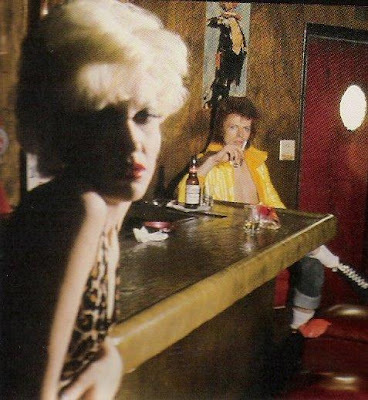 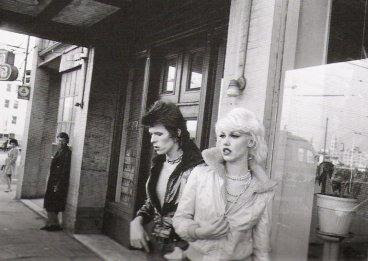 When David Bowie came to town, he and wife Angie were only going to hang at the hippest spots, and he inevitably met Cyrinda and they began an affair. 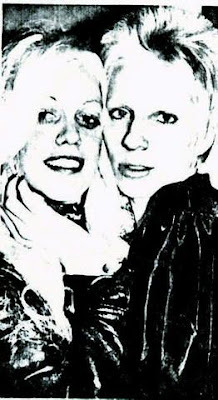 She also became very close friends with Angela. 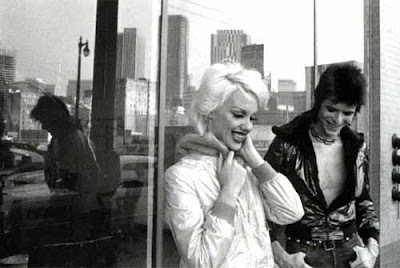 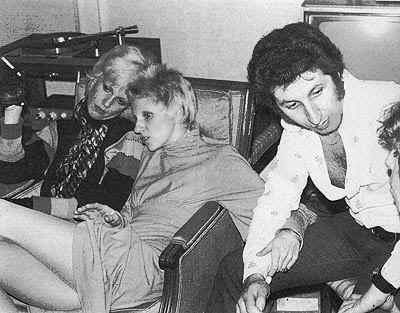 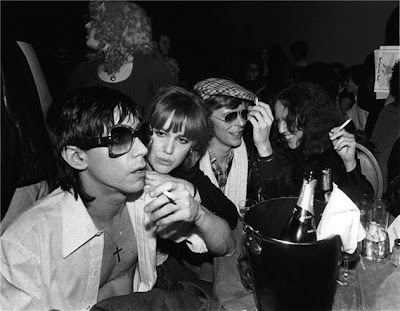 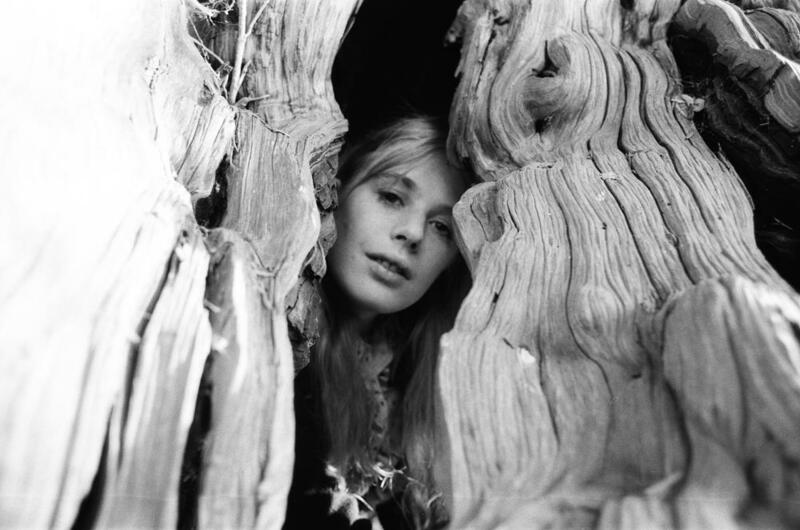 Cyrinda, whose autobio "Dream On", though terribly written, I HAVE indeed read, says that David wrote "The Jean Genie" for her, although it's about Iggy Pop. 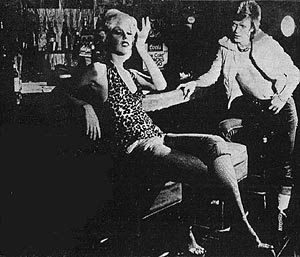 She explains that David wanted to wrote her a song, so she told him she'd like something that sounded like the Yardbirds. 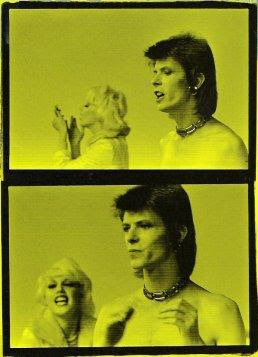 Here are photos of Cyrinda and David in the music video for the fantastic '73 tune.